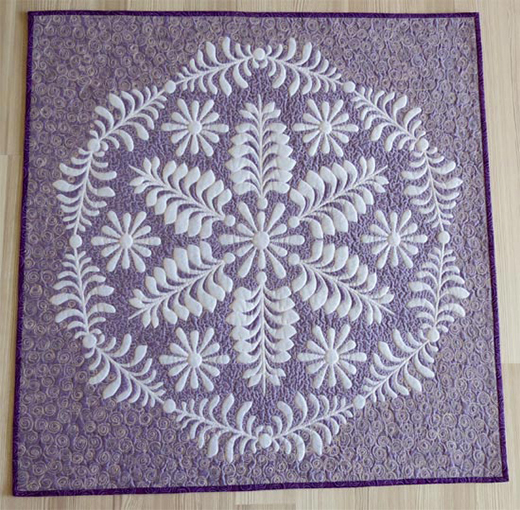 In this Tutorial Geta Grama show you How to Make Shadow Trapunto Quilts. The shadow trapunto quilt has 5 layers. From top to bottom: organza (a sheer fabric), trapunto design made from batting (the white part), and the 3 layers of the familiar quilt “sandwich”.